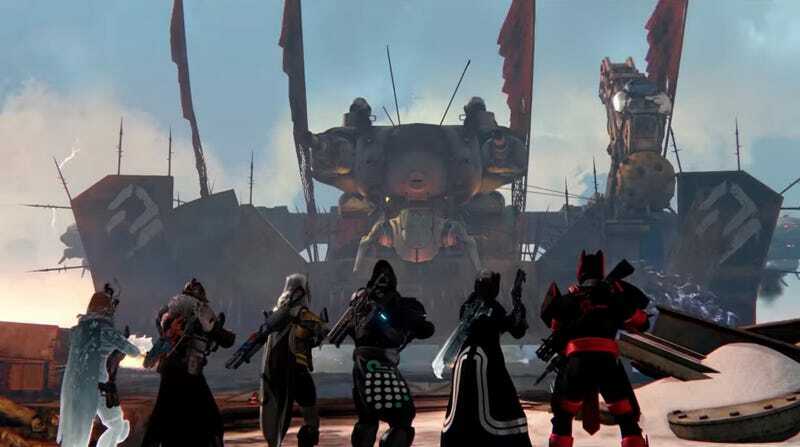 A bug in Destiny’s Rise of ‘Wrath of the Machine’ raid prevented a top clan from getting the world’s first completion on the newly released Hard Mode difficulty. Per Eurogamer: Redeem was the first clan to defeat ‘Wrath of the Machine’ when it was released, blazing through the endgame raid with ease. They seemed a prime contender to be the world’s first team to best the Hard Mode. Until tragedy and heartbreak struck. The team made solid progress through the raid until they instantly wiped without warning. You can see it for yourself at around the 24 minute mark. After defeating the massive Death Zamboni, a member of the raid party rushes too far ahead and out of the arena. In the process, they hit an invisible boundary that completely wipes the party. They had to do the entire siege engine sequence over, losing precious time that could have gotten them a world record. As a result, the clan only placed in third in the standings. They came behind Clan “The Legend Himself” and Clan “Die Busfahrer”, who claimed the coveted world first. We really loved the new raid here at Kotaku even if it has a few bugs. Players found a way to completely skip the Zamboni fight shortly after the raid went live but a world first attempt seeks to clear all of the content in the fastest time possible. The glitch that took out Redeem is a known issue. Hopefully such a heartbreaking and prominent example will speed along a hotfix from Bungie in the near future!